Now that the holidays are over, and 2016 is about to end, you may think you have time to relax before re-starting your search for a new home. The Powell Group at Keller Williams of the Western Upstate of South Carolina suggests you do not let up on your search. We remind that the federal rates are about to go up. This increase will affect everything from mortgages to credit cards and much more. Once the rates go up, your quoted mortgage will change. In most cases, it’s a definite rather than a possibility. Some people have become complacent about their home search. While there may have been a reason to do so in recent years, the winter of 2016 is not the time to relax. 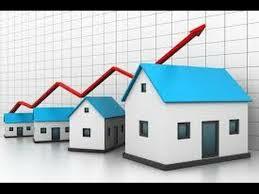 Home sales are up 15.4 percent compared to this time last year according to the National Association of Realtors. So, if you don’t act fast, someone else will own your dream house. On top of that, prices are going up. So, in order to avoid the dreaded double-whammy, call your agent now. We at The Powell Group will gladly show you the details of why it is so important to buy now. Otherwise, you may wind up paying more for a house that was lower on your list. Come in today. We can gladly help you move fast to get into your dream home.